When you’ve been through 7 solid months of dark and drizzly days, it can be hard to get motivated to get going in the morning. Today we’ve been inspired by this great post full of art deco era bathrooms in bright pastels from Retro Renovations to consider how the thoughtful application of luminous spring colors can perk up your morning routine and counteract the grey Northwest winters. 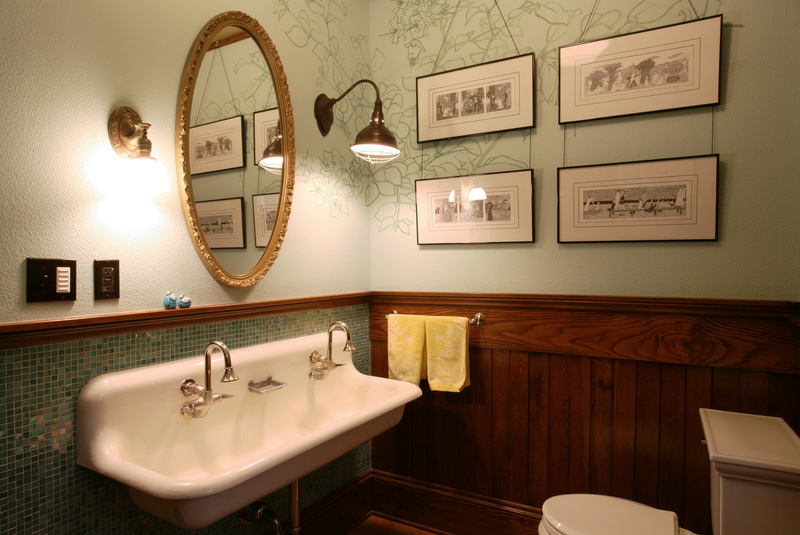 These Arciform bathroom renovations are great examples of how fresh colors and gorgeous vintage fixtures can add personality and charm to your powder room. 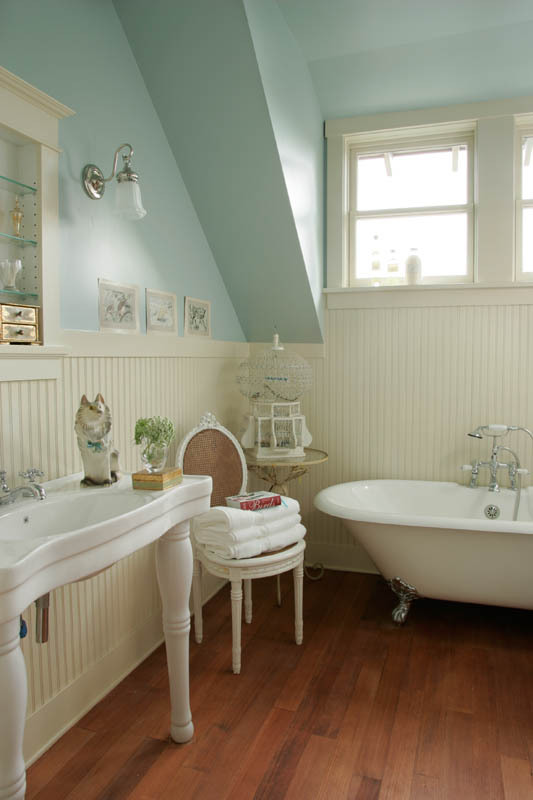 Pale sky colors can bring out the intriguing roof lines of a upstairs bathroom while bead board and a beautiful claw foot tub are a nod to the home’s 19th century history. 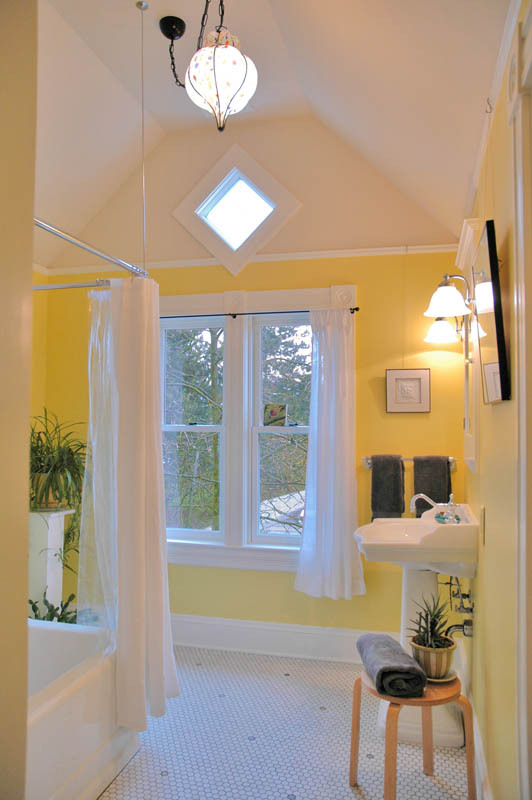 Sunny yellow keeps things light and bright when complemented with penny round tile and a beautiful diamond clerestory window. Paint isn’t the only way to add pop to your bathroom. 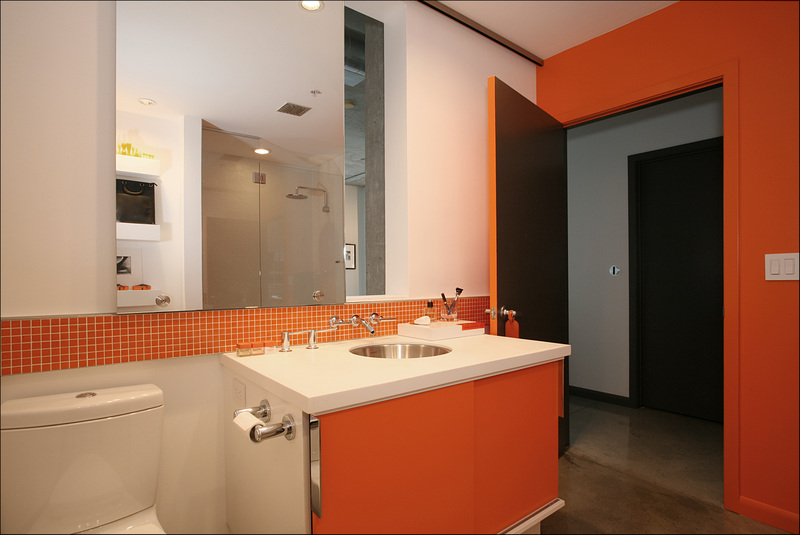 A border of bright tile adds energy to the bathroom of this Pearl District loft when combined with surprise splashes of tangerine on unusual surfaces (like the cabinet fronts and the edge of the door). 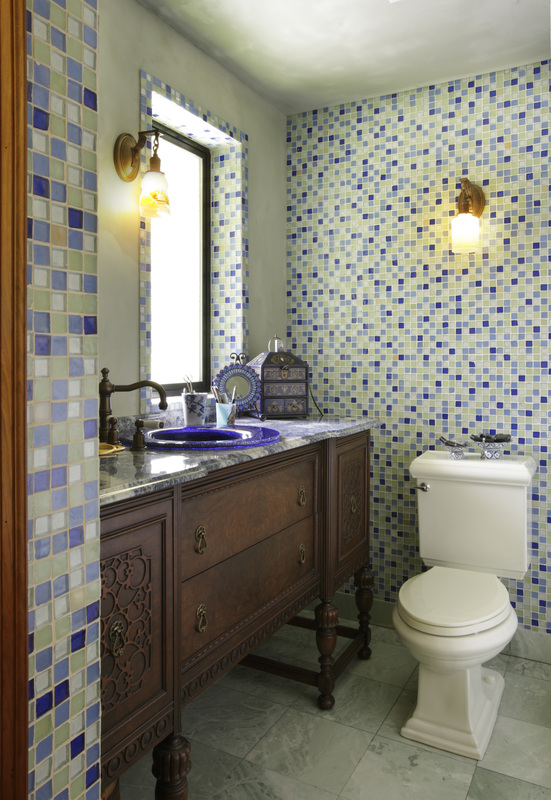 This Southwest Portland bathroom uses scattered blue and green tile to create an effervescent effect on the walls, giving a small bathroom big personality. The vivid blue sink and a salvage dresser as a wash stand brings the whole fun and eclectic look together. How can Arciform help you put a little spring in your step in the mornings? Join us February 18th for a Master Suite Design Workshop to get inspired for your next project. Details and RSVP here.